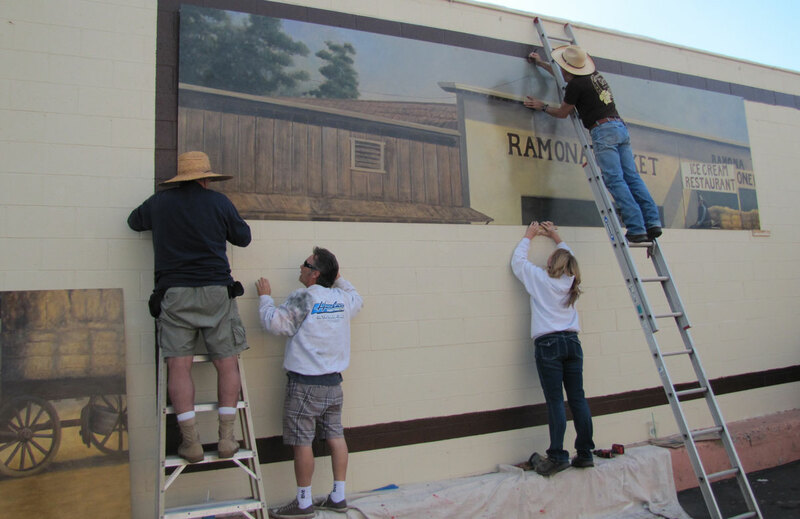 Ramona Parks & Recreation Assoc. 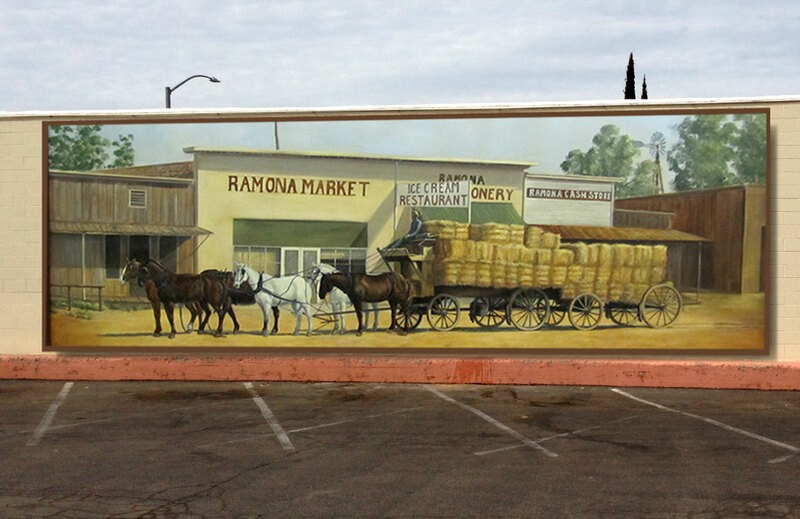 This mural was sponsored by individual members of the Ramona Chamber of Commerce and is a reproduction of a painting by Louise Shidner which depicts her uncle driving his hay wagon down Main Street Ramona. 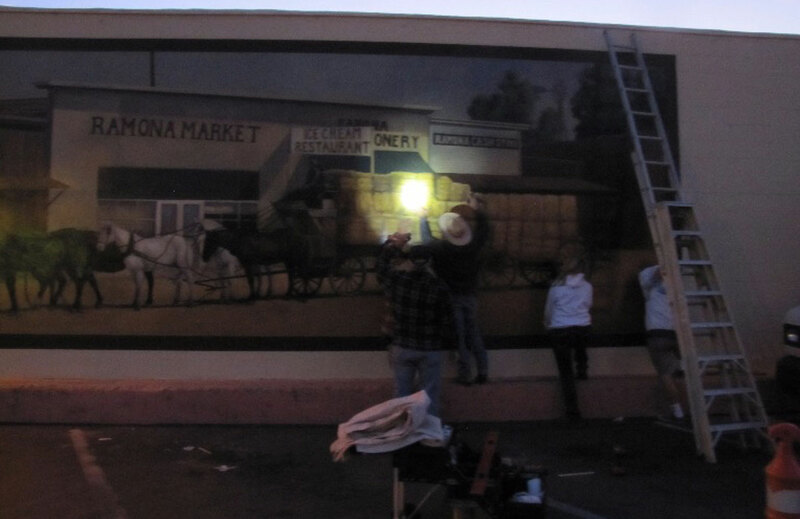 The art team of Bob Teague, Mark Martensen and David Billick created the mural. Look for four H.E.A.R.T. icons in this mural!